Lock in a great price for The New York Inn - rated 8.9 by recent guests. Location was perfect. Parking available and the food was excellent for great price. The location and sea view,the fantastic room and huge king sized bed,the delicious meal in the restaurant and excellent friendly staff. The bed was comfortable and we had a good size room with a sea view. Staff very friendly and helpful, food was excellent, room was clean spacious and warm. Staff are very good, food great and great location, I'd stay again. The staff are fantastic. Friendly and helpful. happy to have a chat and offer great service. The food is amazing and great value. We had dinner and breakfast there and we were more than impressed. Hotel clean and warm. Lovely atmosphere! Lady on reception was very pleasant. Room was very spacious, had tea/coffee making facilities, good shower and TV with Netflix and YouTube. We had a 2 course meal in the evening then went to the Manhattan bar. An excellent band named Cutloose were playing. Great drinks promotions and happy hours. Cocktails for £3, 4 bottles beer £10, half price gins. We will return. The New York Inn offers free Wi-Fi and spacious rooms with large living areas and LCD TVs. There are panoramic views of the coastline. The 4-star New York Inn is recommended in the Michelin Guide 2011-2013 and Good Hotel Guide 2011-2013. The restaurant offers varied international cuisine, including pub favourites, light lunches and dinner menus. 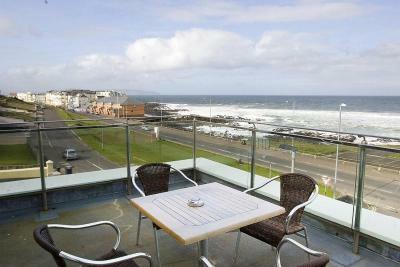 Royal Portrush Golf Course and Giant’s Causeway are within easy reach. Londonderry is a 45-minute drive away. The New York Inn has been welcoming Booking.com guests since 5 Mar 2010. When would you like to stay at The New York Inn? 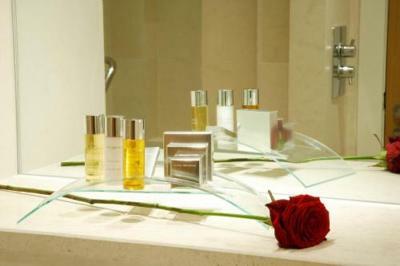 En suite room with luxury toiletries and a large LCD TV. Request double bed when booking, if required. This en suite room has free Wi-Fi access and an LCD TV. House rules The New York Inn takes special requests - add in the next step! The New York Inn accepts these cards and reserves the right to temporarily hold an amount prior to arrival. 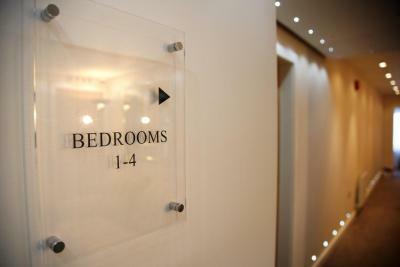 On the night of your stay, noise may be heard in the bedrooms due to private functions, weddings and weekend entertainment. Please inform The New York Inn in advance of your expected arrival time. You can use the Special Requests box when booking, or contact the property directly with the contact details provided in your confirmation. The first morning we were there there was no hot water. We reported it and no one seemed to know how to rectify it we wasted two hours waiting for hot water to shower before going to breakfast and it wasn’t sorted out. Thankfully when we returned in the evening the water problem was rectified. Room 8 could do with a little bit of TLC. Curtains fell down when we tried to close them. In addition we tried to move a glass top table so that we could look out the window at the stormy sea but discovered the table was actually in a state of collapse. The legs were broken. Apart from that it was a great room, clean and warm with a fantastic view and a lovely big comfy bed! Maybe a 10 minute walk to the centre. We had intended to go out for dinner/drinks but as raining we decided to stay at hotel. Glad we did as food was great as was the drinks promotions and live band.